J4k would like to wish ex Just4keepers goalkeeper student Dion Henry the very best of luck as he moves to a new club this season. Dion who has left Peterborough United on mutual consent is set for a BIG future in the game as we are positive it will be just a matter of time before he is with another club. 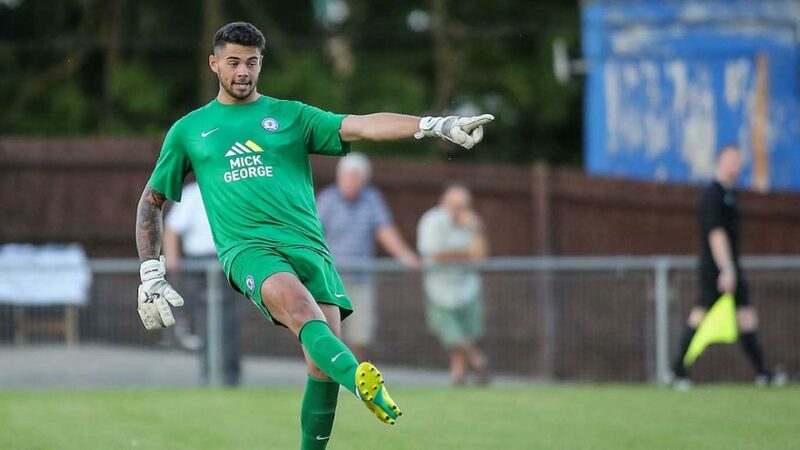 Dion who attended a Just4keepers Residential was took under the wing of Just4keepers goalkeeper coach Ian Pledger who took him to Peterborough United FC and Dion has been turning many heads ever since with a string of excellence performances. When I get asked these goalkeeping questions from my goalkeeper students, I can hear the pure frustration in their voices. There has been soooo many goalkeeper students I have coached over the years that in my opinion where good enough to make the grade but where simply not giving the chance because they were not tall enough. So as a goalkeeper coach , it is just as frustrating for me who has worked with these goalkeepers and knowing that they were good enough. Because I believe if a goalkeeper is good enough, they are big enough. However rather than me write a long article, please see the video I have produced to help and advise goalkeepers and their parents with this goalkeeping issue.